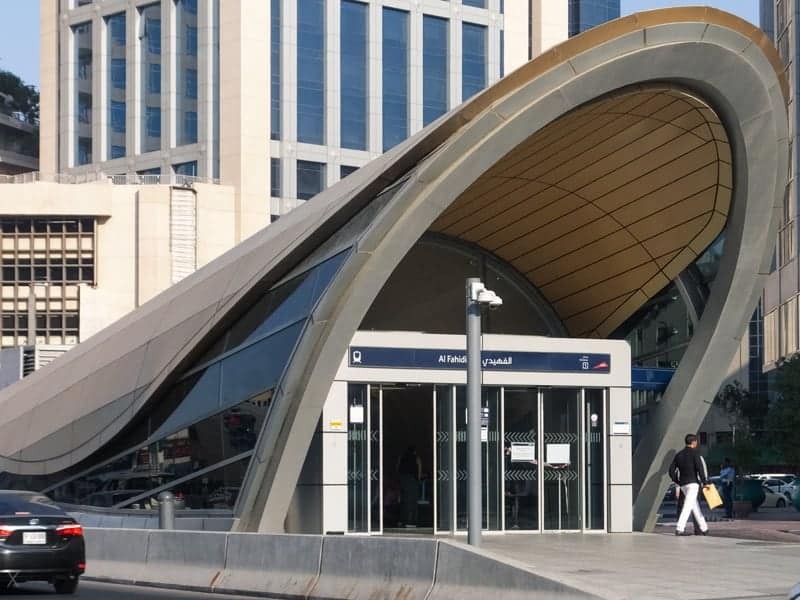 Al Fahidi Metro Station is one of the busiest stations on the Green Line of Dubai Metro. It is situated in the heart of Bur Dubai, at the junction of Al Mankhool Road and Khalid Bin Al Waleed Road. Al Fahidi is the closest station to the historic district of Al Fahidi (also known as Bastakiya). Tourist attractions here include the Dubai Museum. The Dubai Creek is approximately ½ mile north of the station. Here you’ll find Dubai Old Souk Abra Station and Bur Dubai Abra Station. Cross the Dubai Creek by abra to reach Deira and attractions such as the Gold Souk. Adjacent stations on the Green Line are Al Ghubaiba and BurJuman. Arabian Tea House (0.4 miles) - Outdoor cafe in Bur Dubai. Relaxed courtyard setting with tables shaded by canopies. Offers more than 100 varieties of tea from all corners of the globe. Food menu includes Arabic breakfasts, salads, sandwiches, and BBQ dishes. Map showing location of Al Fahidi Metro Station. Museum within the oldest building in the city. Guide to the Dubai Metro Green Line. 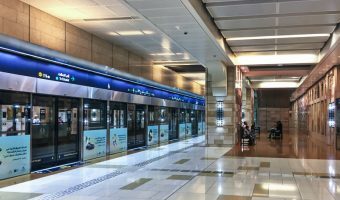 Guide to Al Ghubaiba Metro Station. 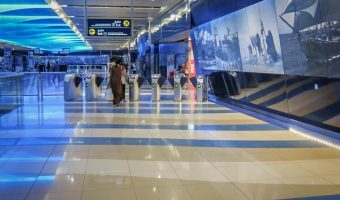 BurJuman is one of two transfer stations on the Dubai Metro, serving both the Red and Green Lines.